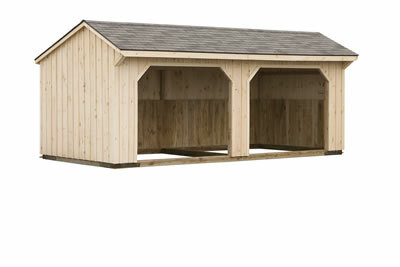 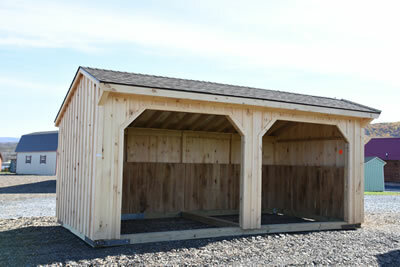 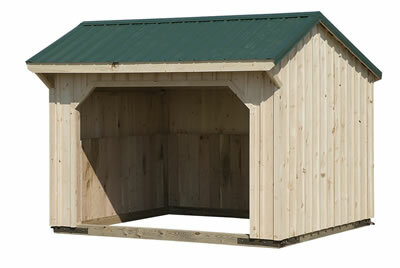 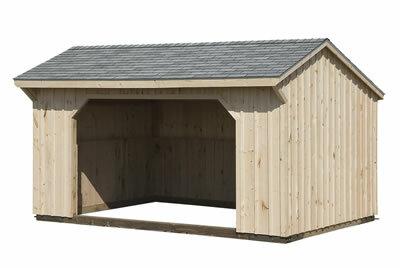 Run In horse barns are designed to provided horses with protection from the elements. 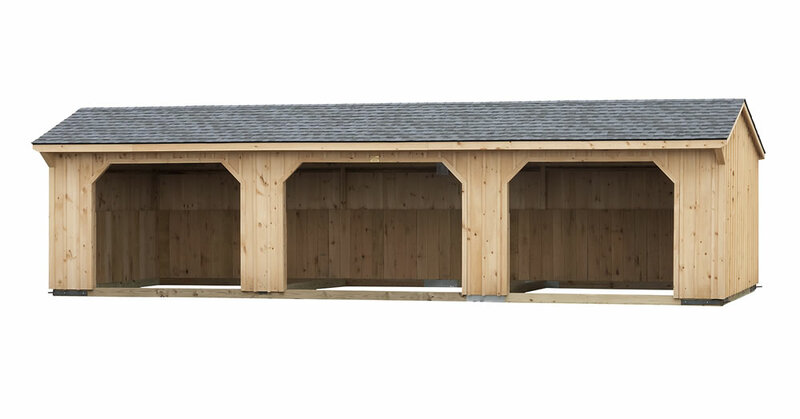 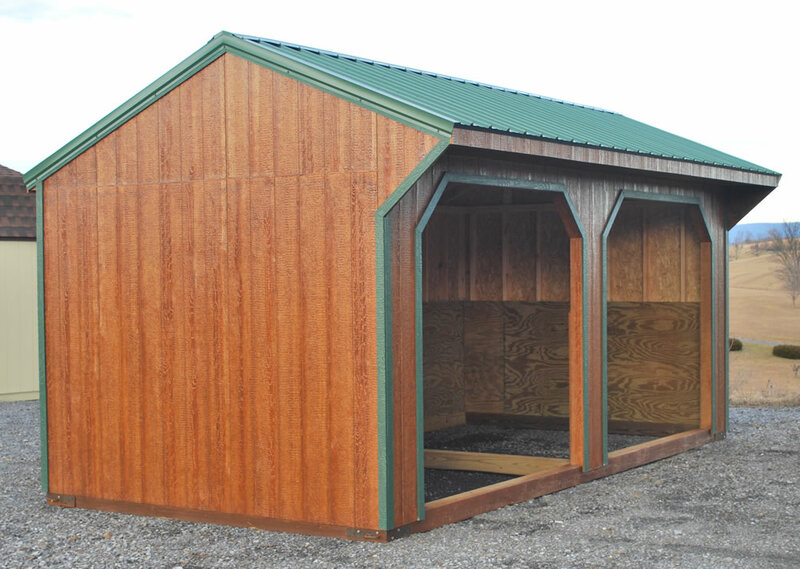 These affordable run in horse barns are delivered completely constructed for quick and hassle free protection for your horses. 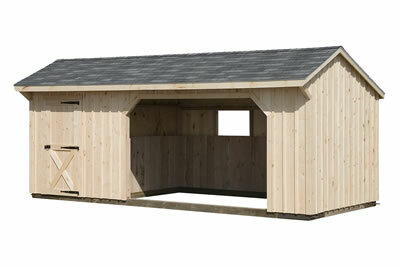 Tack room add on does not extend lenght of building. 10x20 with 6x10 tack room has 10x14 run in area. 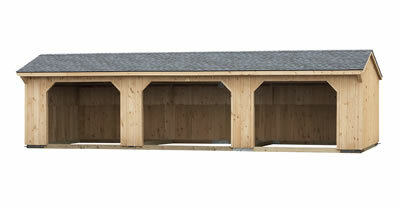 10' x 16' Run in shed.